When you try to view some of your MonsterInsights reports, are receiving the following error when you attempt to view either the Search Console Report of the Custom Dimensions Report? The API returned a 403 response with this message: MonsterInsights failed to retrieve the new report data. Error message: user does not have sufficient permissions for this profile. If you’re experiencing this issue when you view the Search Console report in MonsterInsights, it might be caused by the URL in the Analytics settings being different than the URL in the Google Search Console settings. If you’re experiencing this issue when you view the Custom dimensions report in MonsterInsights, please be sure you’ve followed these instructions: How to Set Up Custom Dimensions, particularly the portion of the setup required in your Google Analytics admin settings. Please ensure you’ve followed this guide for setting up custom dimensions: How to Set Up Custom Dimensions and then wait 24-48 hours before checking on your dimensions report again so the data can trickle in. 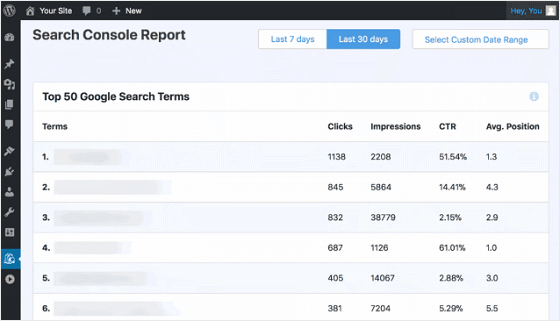 Prerequisites: You must have the MonsterInsights Plus Tier or higher to get access to the Search Console Report in MonsterInsights inside your WordPress admin. Step 1: Navigate to analytics.google.com and go to Admin » Property Settings » and make a note of the Default URL settings. Step 2: In a new tab, navigate to analytics.google.com and go to Admin » All Products » Search Console » and click Adjust Link and make a note of the URL of the site connected. 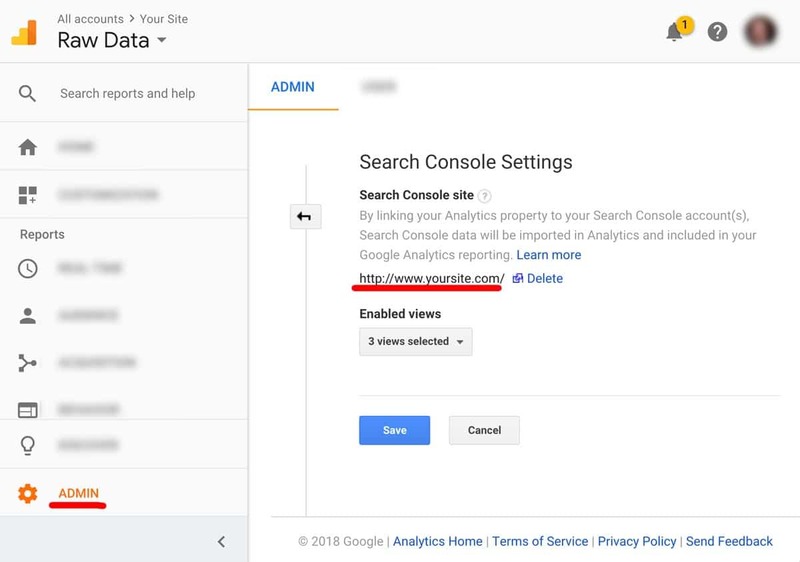 Changing your analytics settings for the default URL to match the connected Search Console account (if applicable). If no Search Console profile is connected, follow these instructions to connect one (and make sure the URLs match: How to Verify Your Site in Google Search Console with Google Analytics. If you like the URL in analytics, but the wrong search console profile URL is connected, and they don’t precisely match you’ll need to disconnect the non-matching one connect the correct one. If the exact match doesn’t exist yet, (you’ve not followed the instructions to create all existing variations of the site: http, https (if applicable), www, non-www in Google Search Console). Then you’ll need to follow these instructions to create and connect the matching URL variation: How to Verify Your Site in Google Search Console with Google Analytics. That’s it! Now you’ve successfully connected Analytics to Search Console and have corrected that error. Are you interested in extending MonsterInsights by using third-party plugins for features that aren’t native to MonsterInsights yet? You can! Then please see our guide: How to Enable Compatibility Mode in MonsterInsights.